We are in the process of growing a field of blueberry bushes at the farm. The bushes are now 2 years into their growth and are bearing some fruit already, but they will not be fully developed for another few years. This means that the field that the bushes are growing in would be relatively useless to us throughout those years in terms of gross farm production, but that is where a little creativity comes in to help. Over the past two years Uncle Drew has saw to it that those fields are still productive, even when the blueberries aren’t. Right now we have herbs like time and oregano growing in between the fledgling blueberry bushes, and we have peas growing in between the rows in the field. 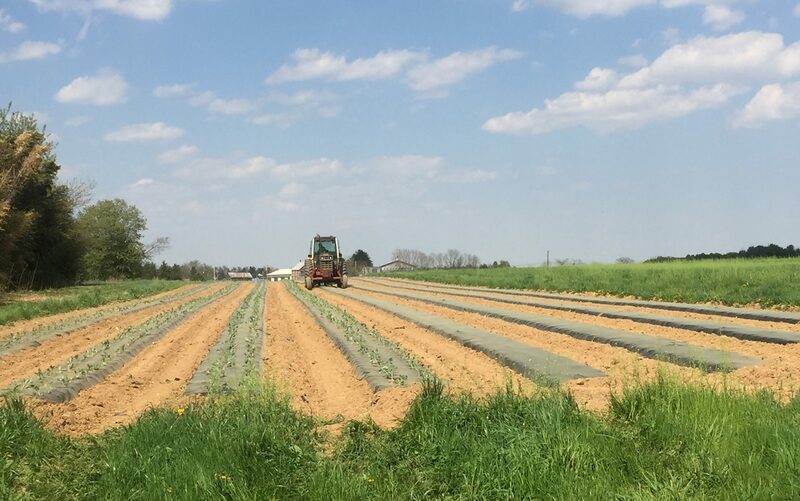 Now we have a field that would be unproductive to us over a four year span that is now growing three types of produce for our farm and our customers.